According to the NRF, 80 percent of Americans celebrate Easter and spend an average of $21 per person on sweets such as chocolate, jelly beans and more. 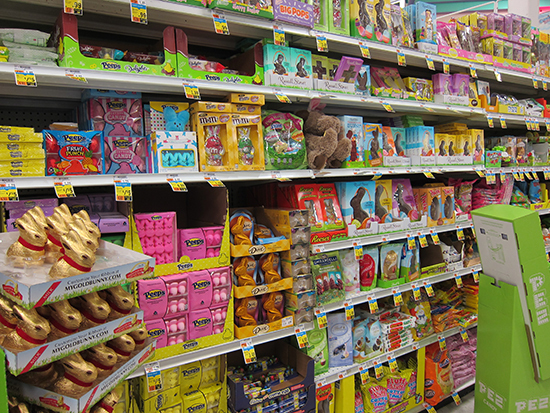 Read on to discover some surprising Easter candy facts and retail stats. Easter Spending Once Surpassed Halloween. In years past, Easter has beat out Halloween candy sales, however this years’ $2.49 billion candy forecast indicates sales are down from $2.63B last year. Easter Baskets Are a Family Favorite. 87% of parents plan to prepare a basket for their kids this holiday. Those Who Don’t Celebrate Will Purchase Candy. Even though not everyone celebrates Easter, 33% of those not participating in the holiday say they’ll still buy candy. What’s in the Basket? When it comes to sweet Easter basket treats, it’s no surprise chocolate rules at 89% with fruit-flavored candy following at 46% and gum and mints accounting for 35%. Chocolate Bunnies Rule the World. 90 million chocolate bunnies are made worldwide every Easter and 90% of Americans will include them in their Easter baskets. America’s Least Favorite Easter Candy. Of the more than 23K CandyStore.com website visitors surveyed, Cadbury Crème Eggs topped the list as the worst Easter candy. 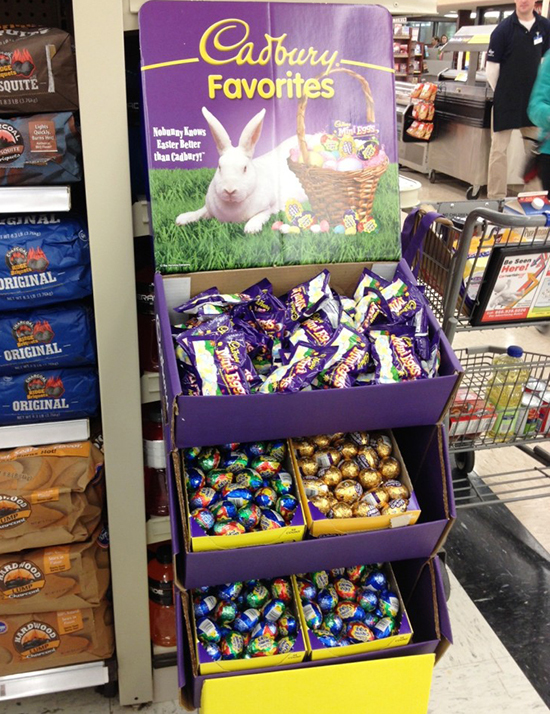 Cadbury Mini Eggs, however, were named the most popular Easter candy. Portions Are a Priority to Parents. According to a National Confectioners Association (NCA) survey, 85% of parents say that individual packs and fun size packages influence their Easter candy purchases. GSP helps retailers with everything from branding and marketing to remodeling and store surveys. Contact us to discuss unique ways to increase your candy sales and more.